Thank you for a wonderful weekend, San Diego! Sun, fun, friends, colleagues…does it get any better? 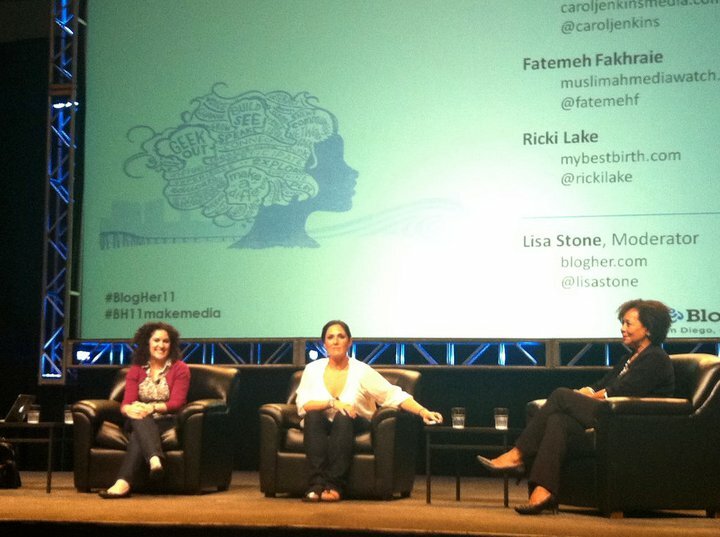 I was in San Diego this weekend to speak on BlogHer 2011’s closing keynote panel. It was wonderful to be able to meet lots of accomplished bloggers and activists that I’ve known online for awhile, both at BlogHer ’11 and just in San Diego. I met up with the multi-talented Arturo Garcia, managing editor from Racialicious, for the first time since we’ve been blogging together. I also finally met May Alhassen, a fellow I Speak for Myself contributor and KABOBfest writer. I was unhappy that I wasn’t able to come for the entire conference, but I had a wonderful time at BlogHer ’11 on Saturday. I really enjoyed the panel with Reem Amr Abbas, Yoani Sanchez, and Simone Leid speaking about the wonderful work they do through their blogs on a panel about international activism. And Saturday’s lineup got better from there: Jose Antonio Vargas spoke on a panel about redefining what it means to be American later in the day. And then, showtime! BlogHer invited me to be part of a panel including two distinguished media personalities: Ricki Lake and Carol Jenkins. We spoke about “Women Making Media,” discussing how we used media to empower women. I was honored to be onstage with these two media powerhouses. I didn’t realize that Ricki had bankrolled a documentary about birthing choices, and will be premiering a follow-up documentary soon. From left: me, Ricki Lake, and Carol Jenkins. Not pictured is our wonderful moderator Lisa Stone, one of the BlogHer founders. Photo by Layla Amini. I want to thank BlogHer again for all the excitement, opportunities, and even the swag. It was a wonderful experience to be included on this panel, and to receive such fantastic audience questions, participation, and feedback: here’s a post by Angela Chee on our panel. You can see more reactions to our panel by searching for the #BH11makemedia hashtag. Posted in Extras on August 9, 2011 by Fatemeh Fakhraie. ← BlogHer 2011 or bust!